Sterling silver cufflinks with a genuine vintage Indian Head Penny. Sterling silver vintage camera cufflinks. Each camera is 1/2". Handmade in the USA. 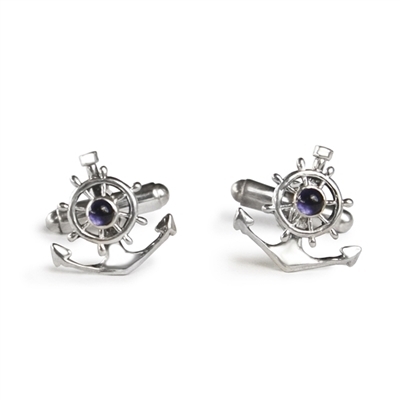 Sterling silver cufflinks with a ship's wheel, anchor and iolite cabochon. Each cufflink is 3/4" inch. Handmade in the USA. Sterling silver cufflinks with a bezel set transit token. Available with NYC or Philadelphia tokens. Sterling silver cufflinks of little pigs. Each pig is 15mm. Handmade in the USA. Sterling silver cufflinks of a standing horse. Sterling silver cufflinks of a letter with note. The sterling silver note pulls out of the envelope to reveal a secret message. Available with " I Love You" or blank for your own engraving. Sterling silver cufflinks with very detailed monkeys. Sterling silver vintage style Fleur-De-Lys cufflinks. Sterling silver cufflinks. Each cufflink is 1" inch. Handmade in the USA. Sterling silver owl's with peridot eyes. Sterling silver gavel cufflinks. 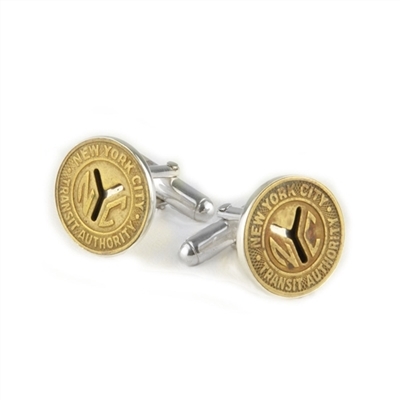 Each cufflink is 1" inch (18x13mm). Handmade in the USA. Sterling silver golf bag and clubs cufflinks. Sterling silver cufflinks of a bull and a bear. Handmade in the USA since 1968. Sterling silver cufflinks. Each cufflink is 3/4" inch. Sterling silver beautifully detailed fox head cufflinks. Sterling silver elephant cufflinks. Each cufflink is 3/4" inch (22mm). Handmade in the USA. Large sterling silver 6 Shooter cufflinks. Barrel spins for extra fun.